Adult male of S. pelewensis collected from the island of Palau. Underwater at a habitat on Palau. 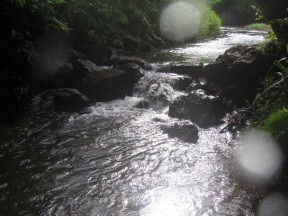 A typical habitat on Palau. pelewensis: named for the Pelew Islands, an archaic English name for the island nation of Palau. Described from the island nation of Palau, eastern Micronesia, but also thought to occur throughout the Mariana Islands further north and westwards as far as Pohnpei. This requires confirmation as some studies contradict others, but what’s for certain is that there exist a slew of similarly-patterned fishes distributed throughout much of Micronesia. 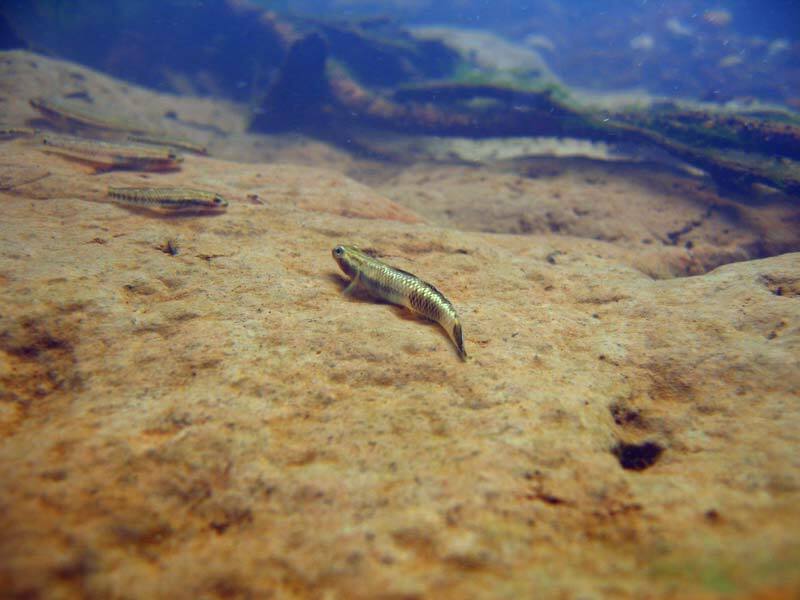 S. pelewensis falls into the former group and typically occurs in higher altitude biotopes characterised by rapidly-flowing, narrow runs and riffles broken up by wider-slower-moving stretches, usually located above waterfalls or cataracts. An aquarium with base dimensions of 60 ∗ 30 cm cm is big enough for a pair or small group but use something bigger if you want to keep multiple species together since males are territorial to an extent. Temperature: 22 – 28 °C; increased surface agitation may be required to maintain dissolved oxygen levels towards the upper end of this range. As with all members of the genus sexual dimorphism is pronounced. Mature males have dark unpaired fins and two thick, dark body bars, one under each dorsal-fin. 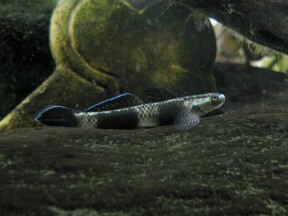 Females are relatively plain and similar in appearance to those of some other species, with a pale base colouration and two dark, lateral body stripes. This species has probably not appeared in the aquarium trade. It’s similar in appearance to several congeners, most notably S. weberi, native to the Maluku archipelago and other islands around the coast of Papua (formerly Irian Jaya). The two are said to be most easily-distinguished by examination of the belly which is fully-scaled in S. pelewensis but lacks scalation in S. weberi. Fishes in the Zoölogical Museum of Stanford University, III. 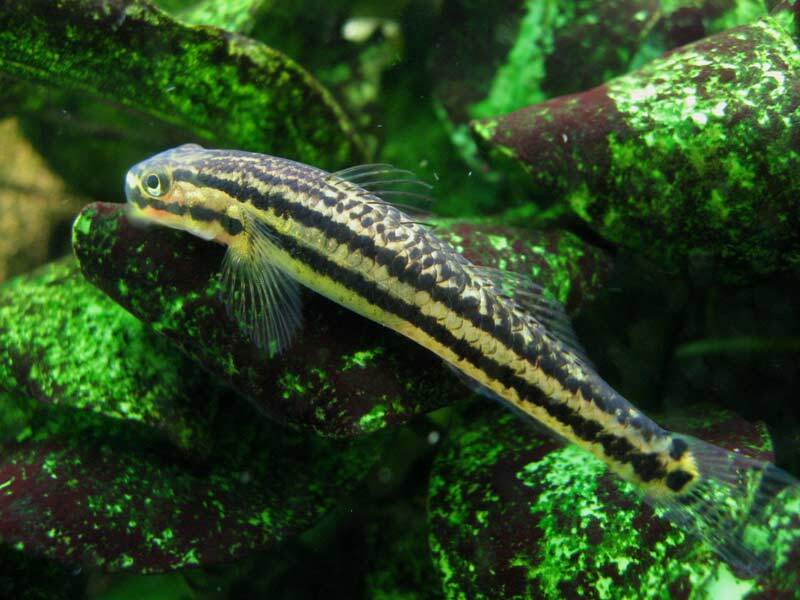 New genera and species of gobies and blennies and a new Myxus, from the Pelew Islands and Celebes. Insular Freshwater Fish Faunas of Micronesia: Patterns of Species Richness and Similarity. Results of a reexamination of types and specimens of gobioid fishes, with notes on the fishfauna [sic] of the surroundings of Batavia. A review of Stiphodon from Halmahera and Irian Jaya, Indonesia, with descriptions of two new species (Teleostei: Gobiidae).